Established in 1994, Leading Edge Communications serves as a full-service, award-winning marketing ad agency and custom publisher for local, national and international clients in a wide array of industries. For the past 2 years in a row Leading Edge Communications has been recognized as one of the Top Nashville Advertising Agencies by Expertise. Leading Edge partners with clients to create attention-getting messages and branding. Housing both design and marketing services under one roof streamlined the process and proved beneficial to our clients. Leading Edge Communications’ services now include responsive website design and redesign, social media consulting & management, and increasing online visibility via search engine optimization (SEO). Your message is the medium that introduces your brand to potential customers. With powerful words and a captivating design, our team will craft a precise and powerful message that personifies your business. We can broadcast your brand across town or across the globe with lightning speed. Our designers understand that a company’s message must be spotlighted within its associated images, logos, and other branding. Our goal is to convey the right message and make it highly visible to your ideal audience. This involves our entire design team from the website designers and social media consultants to our logo and branding specialists. Whether you are seeking a local Franklin website developer, graphic or logo design artist, an experienced advertising agency or a social media consultant, Leading Edge Communications has dedicated teams available to deliver on your project. Looking for targeted visitors to be introduced to your company? Our social media consultants and search engine optimization specialists can take care of expanding both social engagement and visits to your website. Let our expert communicators, graphic, logo, and web designers bring your message to life and spread it far and wide with a customized marketing package. With today’s advanced communication technology, Leading Edge Communications works closely with companies and associations across the nation and globally to successfully market their brand, products, & services. Our customer base is diverse and includes The Puffy Muffin (Brentwood TN), Fulin’s Asian Cuisine (Brentwood TN), Nashville country music performers, Vanderbilt Bone & Joint (Franklin, TN), The Pennsylvania Turfgrass Council, Southern Land Company (Franklin TN) and BID Designs in (Huntsville AL). Thanks Eddie and Leading Edge for all you have done to help BuySod !!! Your work is so professional and hits our targets. You and Liz are awesome!! Eddie, I wanted to let you know what a great job Susie and the rest of Leading Edge’s crew did on the Spring newsletter. It’s a great looking issue, and she went the extra mile doing what we requested. I’ve received many favorable comments about how well it was done, especially from a creative aspect. We know that we can always count on Leading Edge Communications (Franklin TN) to give us a final product that we can present with pride to our members and guests. This year’s program was no exception. Hey VIEWS team! I knew the magazine went to print last week and today I went to see if it was online. It looks great! I just have to say, I love the cover!!! and the background color is excellent. 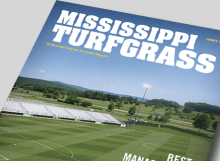 I’m consistently impressed with the quality of the Virginia Turfgrass Council VTC Turfgrass Journal – both style and substance are truly impressive for a state association. Our marketing plans rely on getting our message out to the right people. Leading Edge Communications in Franklin TN provides us with multiple options for reaching our target audience. For many years we have advertised in Florida Turf Digest. We have seen so much response to our campaigns, that we are now branching out into other publications that Leading Edge offers. They continue to be key players in our advertising plans and will be into the future.